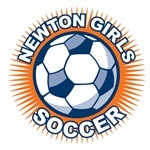 Newton Girls Soccer and Newton Youth Soccer together manage soccer fields through their joint Fields Committee. Many other parents and coaches also help out with various fields-related tasks. We’re always looking for more people to join us in this important work. Please contact Josh Leader, jmleadlaw (at) aol.com if you’re able to help out in any way, large or small. Permit: For each season (Fall and Spring), we obtain a permit from the City of Newton’s Parks & Recreation Department for the use of grass and artificial-turf fields in Newton. Maintenance and Improvements: NGS and NYS together invest tens of thousands of dollars each year through the Parks & Recreation Department to maintain soccer fields, and to carry out improvements as needed. Scheduling: We schedule games and practices for over 200 intramural and travel teams, as well as training and other programs. Lining: We line 40-50 game fields each week during the season for 11v11, 9v9, 7v7 and 4v4 games. Goals and Nets: We install and maintain goals and nets of various sizes on 40-50 game fields. Field Closures: In consultation with the Parks & Recreation Department we open and close fields based on field conditions, posting that information on the website, Facebook, and Twitter. Handy Houses: We provide “handy houses” (portable toilets) at all parks with game fields.